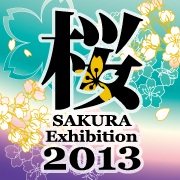 Works will be selected by the gallery for SAKURA Exhibition 2012 in UK. ・Time - Mons, Tues and Thurs 9.30am – 8.00pm. Weds 9.30am – 6pm.